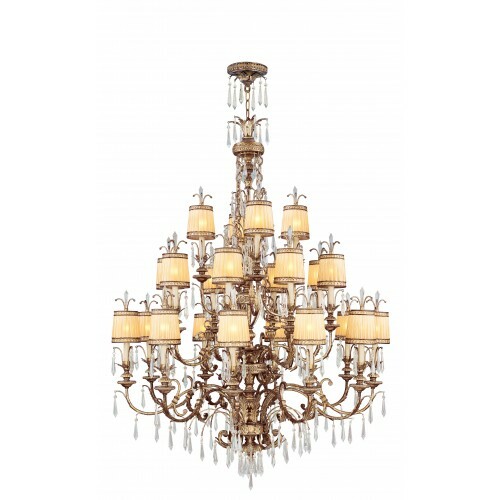 A neoclassical influence is merged with the glamour of high fashion in this beautiful foyer chandelier. The exquisite look features generous scrolls topped with a warm glow from the hand crafted gold dusted glass shades. K9 crystal accents further decorate the intricate frame which comes in a rich vintage gold leaf finish.